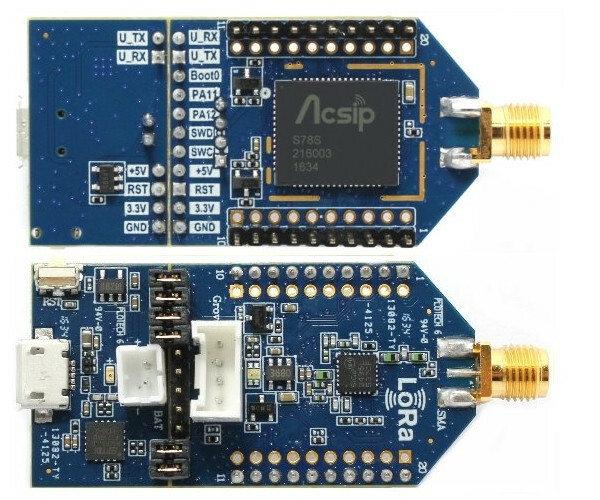 LoRa has been combined with GPS in several products such as Rakwireless RAK811 LoRa tracker board, or Dragino LoRa/GPS HAT board among others, with all designed for far based on a LoRa module, plus a GPS module. 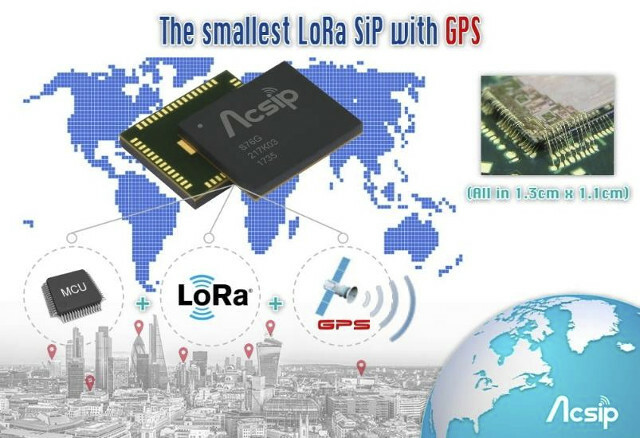 LoRa GPS tracker will soon even smaller as AcSiP has developed S76G and S78G systems-in-package (SiP) that combine LoRa, GPS and an MCU into a single 1.1 x 1.3cm package. AcSiP S76G – Semtech SX1276 supporting global 868 MHz or 915 MHz ISM-Bands. The company will offers a complete SDK / HDK suite with latter likely similar to EK-S78S board pictured below but with an extra GPS antenna or connector. AcSiP S76G / 78G SiP are expecting to be found in wearables, children and pets tracking and other applications. Availability and pricing has not been disclosed, but for reference their previous generation S76S and S78S chips are sold for respectively $20 and $18 (sample price for online purchase). What’s the CPU in these like? Are we talking ATmega level, Cortex-M0, M4? From the intended use, I’d expect a low end Cortex-M0 level of CPU. I’d expect a low end Cortex-M0 level of CPU. Interesting but if it really is $20 in single quality it’s pretty expensive. The RAK811 are $10 each are very similar. The software on them isn’t amazing but it’s based on loramac-node so it’s possible to totally replace it without much hassle. I will need to go reboot my brain as it seems to have developed a memory leak.